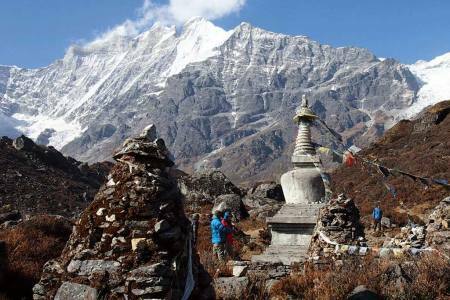 Bhairav Kunda Trek is a spiritual trek situated at the North of the Kathmandu Valley near by the Tibet. 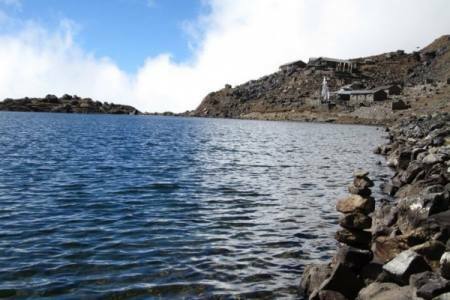 Bhairav Kunda Trek can be classified as pilgrimage trek as it take you to the petrified pilgrimage site of Bhairav Kunda(Lake), lying at an altitude of 4,250m.This place is mostly visited by the followers of Hinduism and Buddhism religions during the festival which is held in every year at the Month of Bhadra (August)during the Full moon day. 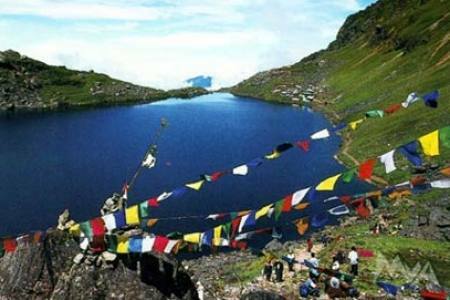 This lake named was derived from the Lord Bhairav which is a destructive image of the Lord Shiva. 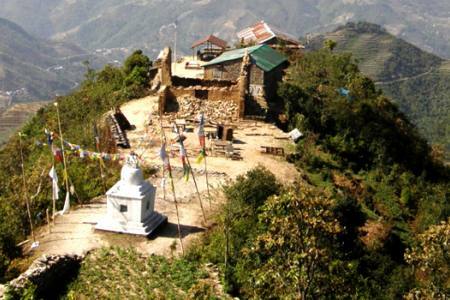 Being a spiritual trek is also known as adventurous, stirring trekking trail. 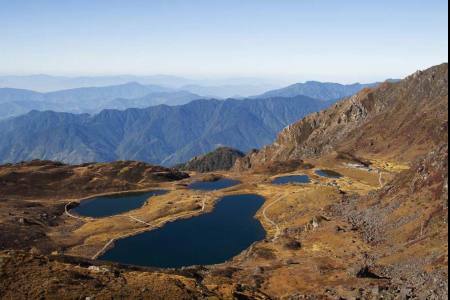 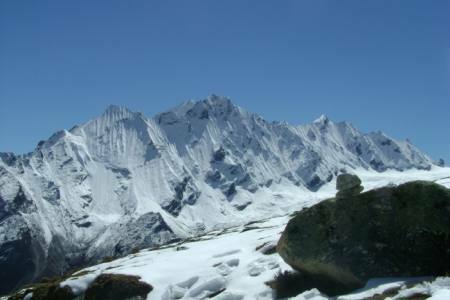 Many other tourists join along the trek to explore the typical culture and view of some awe-inspiring Himalayan range. 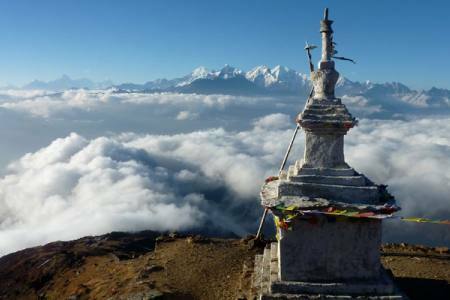 This trekking trail offers us splendid view various mountains including the chain of Peak Dorje Lakpa(6,966m/22854ft),Madiya(6,257m/20528ft) and Phurbi Ghhyachu(6,637m/21774ft) in the jugal Himal range and closest view of different Tibetan upland and Glaciers. 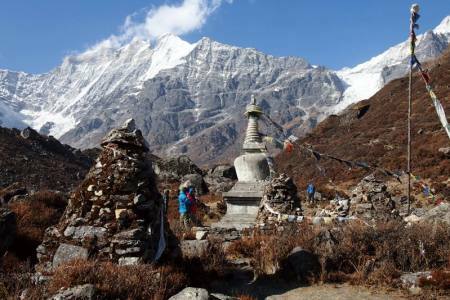 Bhairav Kunda Trekking trail will be begins from Jalbire that is 81km North-East from the Kathmandu Valley.Our trail passes along many small villages inhabited by mainly Gurungs, Newar and Sherpa then we ascend up to Forest Camp (3,150m).The base of Khani Gaon heading along the thick alpine forest mainly containing Rhododendron and Oak with wild animals like Red Panda, Snow Leopard, and Himalayan Black Bear etc also we can have pleasure of an amazing sound of birds chirping across our journey.. Then we ascend a Steep Hill making an exhausting journey up to the altitude of (4,250m/13943ft) to arrive at Bhairav Kunda. 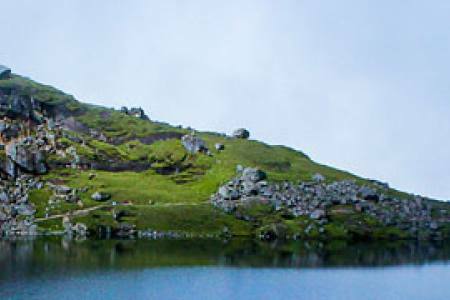 Nearby the Bhairav Kunda Lake you can see a temple of the Lord Shiva; followers visit this temple and pray for their homage to the Lord Shiva then take bath in the Bhairav Kunda. 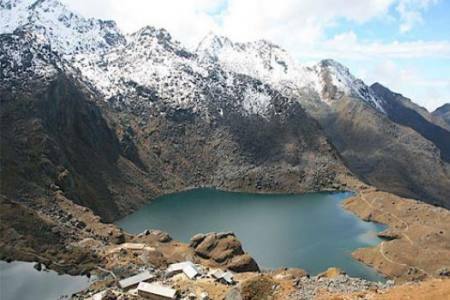 Bhairav Kunda best trekking destination to explore and observe its vicinity and we descend to Sherpa Gaon travel around the dense forest, splendid range of Jugal Himal etc. 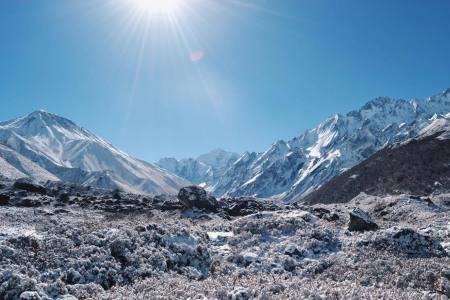 Day 10: Drive from Larcha to Kathmandu (1,350 M/4,429ft) 5/6 hrs. 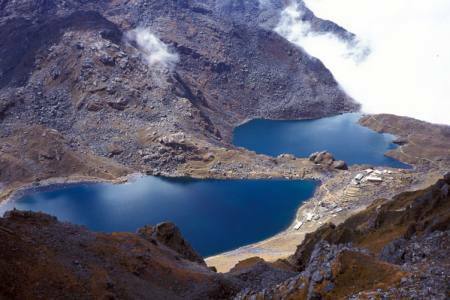 (Lodging + B-L). 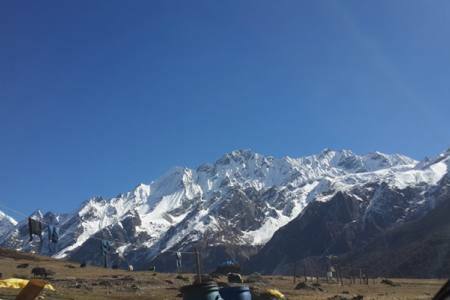 Day 10Drive from Larcha to Kathmandu (1,350 M/4,429ft) 5/6 hrs. 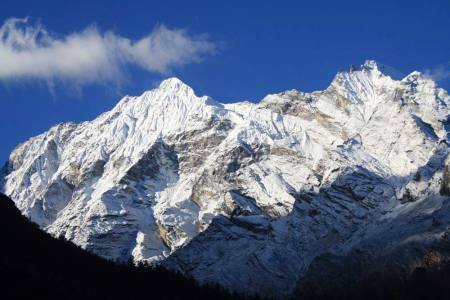 (Lodging + B-L).